We are delighted to announce that we have achieved a GTN’s Greatest Gold Award for ‘Garden Care Retail Team of the Year’! This follows our GTN’s Greatest Gold Award for ‘The Greatest Plant Advice Team’ in September of this year. 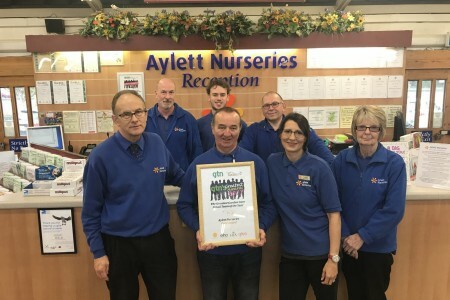 It is wonderful to receive recognition for our customer care and service, we always strive to offer excellent customer service and product and plant advice that mirrors the quality plants and products that we sell. Next Post: ‘Spectacular’ generosity for our Christmas Charity!